Zachary Keeting and Christopher Joy visit the studio of painter Becky Yazdan. Yazdan describes how she works "from memories, personal narrative and storytelling… Painting for me, is a way to process all the stuff that's going on in my head, it's a way to get my own personal narrative. Those layers, thinking about things in different contexts and through different filters almost, is what's interesting to me… I'm doing this kind of Proustian experience... this kind of slow thinking and remembering… and I hope that some of that gets into the painting… when they're successful I feel like some of that [experience] has stayed." 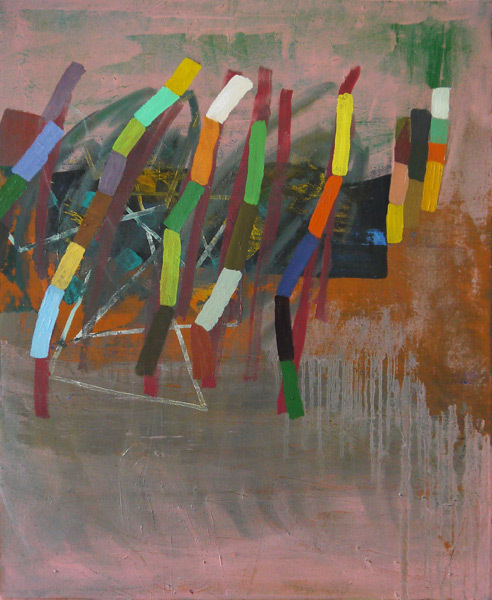 Becky Yazdan: Recent Paintings is currently on view through March 29, 2013 at Giampietro Gallery, New Haven.